Several of my neighbors have the same sign posted in their yards. 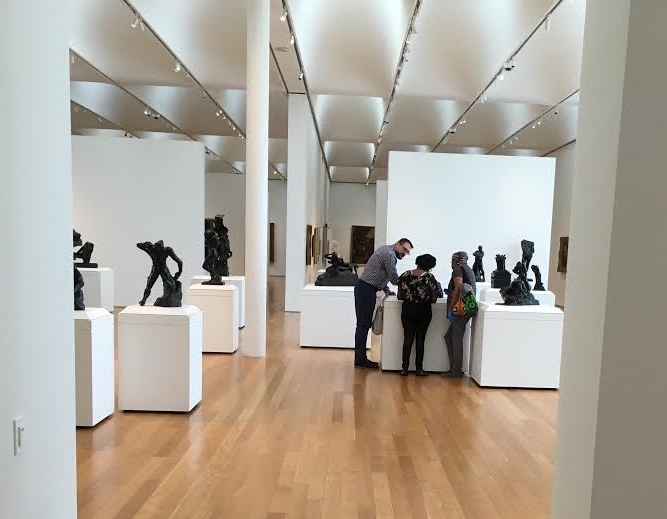 I recently visited my city's beautiful art museum, and I was fascinated and deeply touched as I witnessed docents leading visually impaired visitors through a large Rodin collection. They displayed a beautiful scene of "art for all." The women wore gloves and felt the art as the docent shared with them. 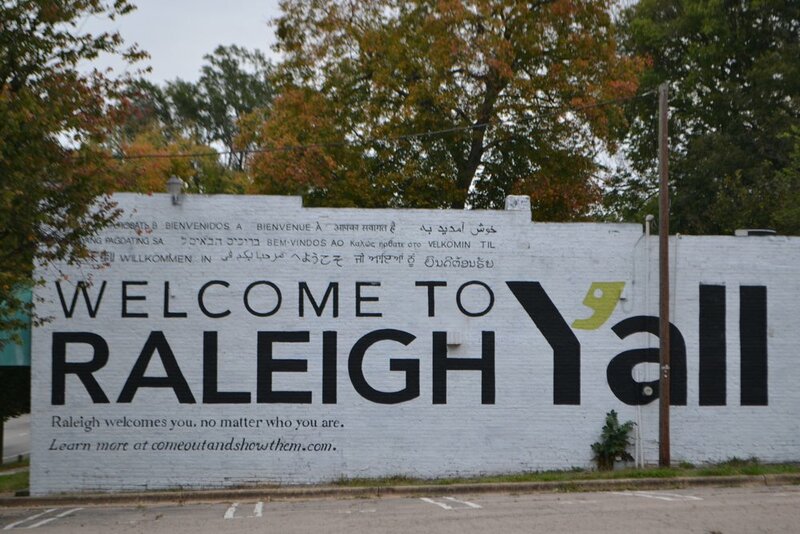 As I have pondered the idea of "y'all," I have been challenged to consider who it is that I sometimes choose to exclude from my definition of all. It is most often people who have different values or ideologies than I do. I imagine that at this moment in our country's history, many of us are exhausted and demoralized as we look around. I sure am. It is so very tempting to hunker down in my own corner and close my ears and heart to people who see things differently from me. But that doesn't seem to be working very well. At least not as a way forward. I recently finished Brene Brown's latest book Braving the Wilderness: The Quest for True Belonging and the Courage to Stand Alone. I always find her research, stories, and ideas compelling and challenging and true to my experience. Consider these words she wrote: "It is not easy to hate people close up. And when we are in pain and fear, anger and hate are our go-to emotions. Almost everyone I've ever interviewed or known will tell you that it's easier to be pissed off than it is to be hurt or scared." It seems to me that many of us are in pain and fear but masking it with lots of anger and hatred. I know these words to be true. But living in anger and hate is exhausting. When I admit to myself that I am afraid or hurt and allow myself to feel these things rather than the sometimes impostor feeling of anger, I don't become overwhelmed. Once acknowledged, fear and hurt slowly move through my body. Anger and hate have a way of camping out. Later in her book, Brown talks about the idea of having a "strong back and a soft front," Yes, we have convictions and know what we believe. Yes, we speak truth to power. But as we approach others, there are times that we need to put down our armor and soften our hearts. I know this is true of me. Rather than charging in ready to fight, I need to approach others with a posture of curiosity and compassion. I need to be willing to listen. As I move through life, I want to more often ask myself, who am I leaving out of my "y'all?" What shift can I make to live with a more open heart? There are many things that I wish were different in my country and in this world, but I am pretty certain that anger and hate are not the way forward. I need to acknowledge my fear, feel the hurt, and then do my best to live these days with a "strong back and soft front." With this posture, I believe that my y'all can then expand. I hope that the y'alls of many are ready to multiply. My book, Adopting Grace: A Parenting Journey from Fear to Freedom is available at Amazon and many other online booksellers. Part of my story is a journey to a bigger y'all.